Berta Cáceres, a defender of the Lenca people, was murdered on March 2nd, 2016, at her home in La Esperanza, Intibucá department, 200 kilometers North-West to the Honduran capital city. Her murder took place in the framework of an ongoing and systematic repression suffered by those who defend their territories and human rights in Honduras, especially since the coup d´Etat of June 28, 2009. 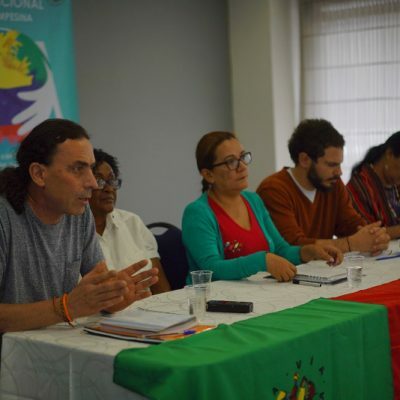 Cáceres was awarded with the Goldman Prize in 2015 and led the struggle against the Agua Zarca hydroelectric project that DESA company wanted to install on Gualcarque River. Said project disregarded the prior, free and informed consultation carried out with the people and was part of the deepening of an extractivist looting model. After 30 months of this crime, whose masterminds aimed at turning into an example to halt the struggles carried out by the defenders of peoples and territories in Latin America, the Civic Council of Popular and Indigenous Organizations of Honduras (COPINH), organization that Berta used to lead, is seeking “truth and justice” with the trial that will begin on September 17, although the Prosecution Office is refusing to investigate the masterminds linked with the company. 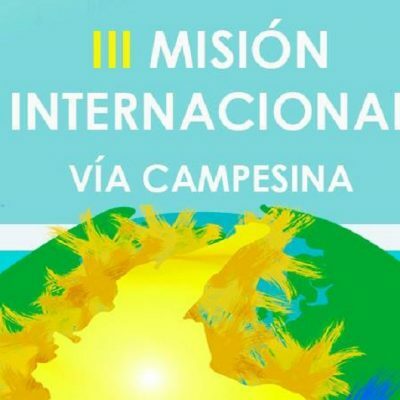 COPINH has denounced that throughout the judicial investigation, contrary to the access given to DESA´s lawyers, the team of lawyers representing Cáceres´ relatives has not been given access to the evidence gathered by the Prosecution Office, and they weren´t notified about the search warrants conducted at the company. Between August 30 and September 3rd, discovery hearings took place. COPINH´s attorneys proposed to include as witness of the case four members of the Atala Zablah family, members of DESA board of directors, pointed as the masterminds behind the murder, and one of the wealthiest families in Honduras. The proposal was rejected by the tribunal. Why did they refuse to listen to the direct links between the Atala Zablah family and the masterminds of the crime? 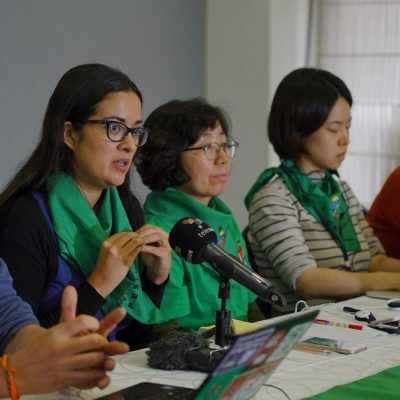 What is behind the refusal to call the owners of the company that was attacking and assaulting Berta Cáceres to testify?”, asked COPINH. Bertha Zúñiga believes the Atala Zablah family holds “great influence over the government”. 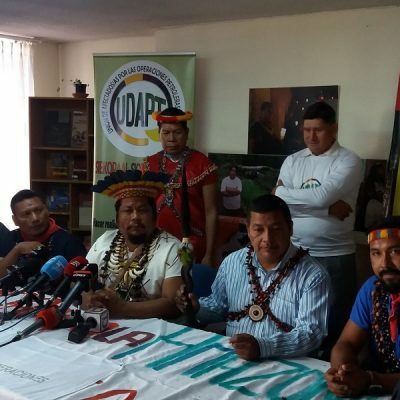 “We need to understand that Berta was the subject of persecution and attacks for several months, and when they realized that they couldn´t stop her, they planned their death, the murder of a social activist, a defender of the territories and indigenous people. Seeing who is ultimately called to testify at the trial will be fundamental to know the truth”, said the current coordinator of COPINH. The first four are accused of being the hitmen. While Henrry Javier Hernández Rodríguez coordinated the perpetrator, he was a sergeant and sniper at the Honduran Special Forces; Henrry was following the commands of Mariano Díaz at the 15th Battalion trained by the US for the counterinsurgency war; Sergio Rodríguez was the social manager of DESA company, in charge of Environmental Affairs of the Agua Zarca project: he designed persecution campaigns against COPINH and threatened Berta several times, which was documented with telephone data which are part of the documental evidence in the trial. Meanwhile, Mariano Díaz Chávez was a Mayor at the Honduran Army and was part of a special division for operations at the jungle and night missions. He was trained by the US Rangers and Special Forces. He was part of a mission in Iraq. In 1997, he was trained at the School of the Americas; in 2005 he received training at the Air Force Academy of Panama, where he took a course on counter-terrorism. He had been investigated for kidnapping and drug trafficking and he was an Instructor of the Military Police created by current Honduran president Juan Orlando Hernández. David Castillo was the executive president of DESA. He was a military intelligence agent and employee at the national electricity company of Honduras. Before her murder, Berta had warned her family that Castillo was conducting intelligence operations, following the activities of the defender and threatening her via text message and phone calls, even showing up at public events where she participated, her home and the airport. After several judicial delays, the oral and public trial will begin on September 17 and will take place until October 19 at Tegucigalpa courts.